Bank of America, the nation's largest mortgage servicer, is offering Florida homeowners up to $20,000 to short sale their homes rather than letting them linger in foreclosure. Realtors said the Bank of America plan, which has a minimum payout amount of $5,000, is a genuine incentive to struggling homeowners who may otherwise fall into Florida's foreclosure abyss. 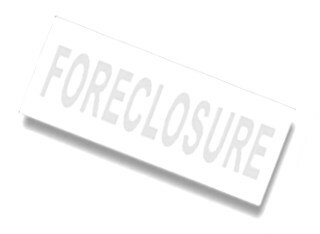 The current timeline to foreclosure in Florida is an average of 676 days - nearly two years - according to real estate analysis company RealtyTrac. The national average foreclosure timeline is 318 days. "I think this is a positive sign that the bank is being creative to try and help homeowners and get things moving," said Paul Baltrun, who works with real estate and mortgages at the Law Office of Paul A. Krasker in West Palm Beach. "With real estate attorneys handling these cases, you're talking two, three, four years before there's going to be a resolution in a foreclosure." Guy Cecala, chief executive officer and publisher of Inside Mortgage Finance, called the short sale payout a "bribe." "You can call it a relocation fee, but it's basically a bribe to make sure the borrower leaves the house in good condition and in an orderly fashion," Cecala said. "It makes good business sense considering you may have to put $20,000 into a foreclosed home to fix it up." "This might be the banks finally waking up that they can have someone in there with an incentive not to damage the property," said Realtor Shannon Brink, with Re/Max Prestige Realty in West Palm Beach. "Isn't it better to have someone taking care of the pool and keeping the air conditioner on?" Wells Fargo and J.P. Morgan Chase have similar short sale programs, sometimes called "cash for keys." Wells Fargo spokesman Jason Menke said his company offers up to $20,000 on eligible short sales that are left in "broom swept" condition. Although the program is not advertised, deals are mostly made on homes in states with lengthy foreclosure timelines, he said. Bank of America's plan excludes Ginnie Mae, Federal Housing Administration and VA loans. Similar to the federal Home Affordable Foreclosure Alternatives program, or HAFA, which offers $3,000 in relocation assistance, the Bank of America program may also waive a homeowner's deficiency judgment at closing. "They realize people are struggling and this is another way to get the homes off the books," he said.